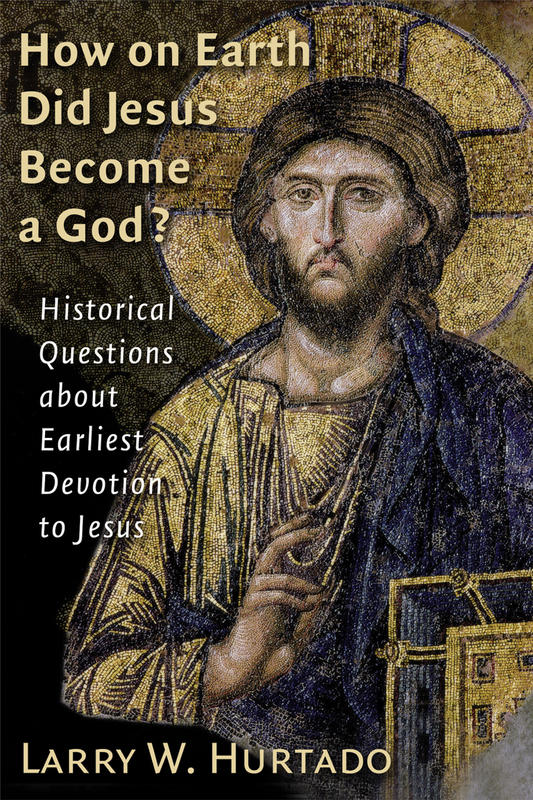 Chrisendom: Review of How on Earth Did Jesus Become a God? Chris, in what way does this book differ from "Lord Jesus Christ"? We gorillas have never accepted the Hurtado thesis. If God had wanted Jesus to be considered divine, He would have given him a white beard; not because God actually has a white beard, but because the humans of the first century would have expected a divine being to have one. Once again, a human theologian talks through his hat and misleads everyone with his spurious conjectures. "Hurtado then analyses the important passage, Philippians 2:6-11, and argues that the original context for this material was to defend devotion to Christ ‘for those whose religious outlook and world of reference were shaped by Jewish biblical traditions’ (chapter four, p. 106)." "Wherefore also God highly exalted him, and gave unto him the name which is above every name..."
It is a pity that the point of Paul's utterance - the warning against self-righteousness - has become the servant of later doctrinal imposition. This looks like a worthwhile book for my Christology course. I'll have to look it up. I'm reading "Resurrection of Jesus" by Gerd Ludemann and just finished the Challenge of Jesus by the dancing Anglican! My prof. studied under Schillebeeckx and is encouraging me to dig into Jesus: An Experiment in Christology. Fantastic review...and in just 500 words! I have not actually looked at this little work of Hurtado's yet as I considered it a mere popular treatment of material covered elsewhere (e.g. LJC), but now I am glad to see he has continued to develop his thoughts both on opposition to early Christology and on the religious experience of the earliest Christians. These are two highly neglected, yet highly important, factors in the development of Christology. Thanks for the heads up. The scope of LJC is much broader in terms of the chronological range it encompasses. LJC aims to compete with Bousset. In this book, Hurtado adds little that is new to LJC (except, if I remember rightly, in chap. 3), and instead presents his main arguments in a more concise form. Thanks for your comments. While the context certainly is about the ethics in the first few verses of Phil 2 (though not really self-righteousness), Paul is still saying something theological in the verses that follow. So I don’t think Hurtado is attempting a ‘later doctrinal imposition’, but is simply asking what the christological significance of Paul’s words are. Your argument that ‘It was as a man that Jesus emptied himself and took on the form of a servant’ is doing much the same thing as Hurtado, seeking the significance of these words, and it appears to me that what you claim isn’t something Hurtado would dispute – at this point, anyway. I have a rule: only read those whose name you can pronounce. Leave the Schlikseebeeks alone! Good collection of essays is found in the recent collection Contours of Christology. Derek, thanks for your kind words! I can do a short review when I want, honest guv! ‘opposition to early Christology and on the religious experience of the earliest Christians. These are two highly neglected, yet highly important, factors in the development of Christology’. Thanks, Chris! Good to know. Nice review, but when can we expect your full thesis to appear? Please let us know when it's complete, and how we can obtain a copy for perusal. While I appreciate Hurtado's writings, I'm not sure he can overcome the objection that you mentioned which other scholars have noted, i.e. the lack of Jewish opposition to the cultic devotion about which he speaks. If this devotion did suggest a certain "binitarian" character, as Hurtado asserts, then the lack of such opposition would surely have to constitute a most startling example of inexplicable lacunae in the biblical record. This is one of a number of serious challenges to Hurtado's thesis. Why is Jesus not "lord" in the sense prescribed by Ps. 110:1 (Acts 2:34-36) which governs NT Christology? That second Lord of the key text Ps. 110:1 is not YHVH (which would make an impossible two YHVH's) but the human lord (Adoni). This title is not a designation of Deity, but in all of the 195 occurrences of adoni, it refers to a human, or occasionally, angelic superior. If Jesus is adoni (my lord),not the Lord God (adonai) unitary monotheism is maintained and the Father remains the single YHVH.